And for the first time only when app asks for Marshmallow Camera permission it crashes, and this is my device log. But it does not crash again if i grant the permission but it still keeps asking for permission each time i try to access the qr scanner. This is my error log in logcat even though it doesn't seem like problem in my java file coz it does not give link to any of my java file from logcat. 1) any idea how to fix the fix the problem with crash in my specific device? 2) and how to fix app asking for permission each time rather than asking once and working without asking for rest of the runs in android ? // permission was granted, yay! 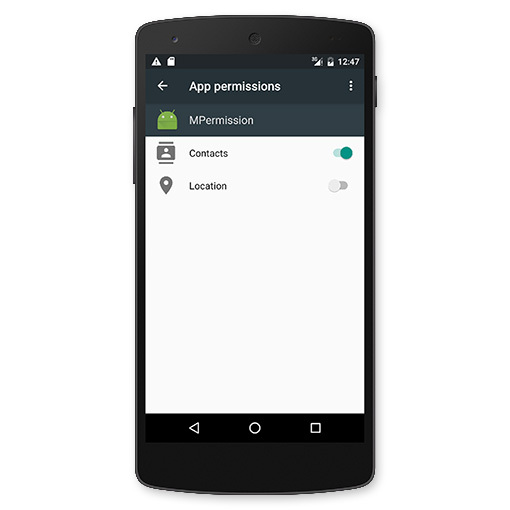 In case your app requires more than one Danger Permissions you should show the toast permission asking only when strictly necessary rather than overwhelming the user with cascading permission toasts. Not the answer you're looking for? Browse other questions tagged android android-camera android-permissions or ask your own question. Scanning QR code using camera crashes application | possible fix? RuntimeException: Fail to connect to camera service?